With the addition of one of our beautifully designed and elegantly crafted garden room extensions, the whole family can enjoy extra year round living space. All of our Garden Room Extensions are traditionally constructed with a glass frame extension, built from either Hardwood, Aluminium or Upvc in an array of styles, colours and finishes very much like our conservatories but with the addition of a flat solid roof or a pitched tiled roof. A Garden Room Extension can be enjoyed year round, with the insulated roof keeping in the warmth throughout the winter and keeping out the heat during the summer. The addition of Roof Windows allows daylight and ‘on demand’ fresh air to flood the room and enhance your new living environment. 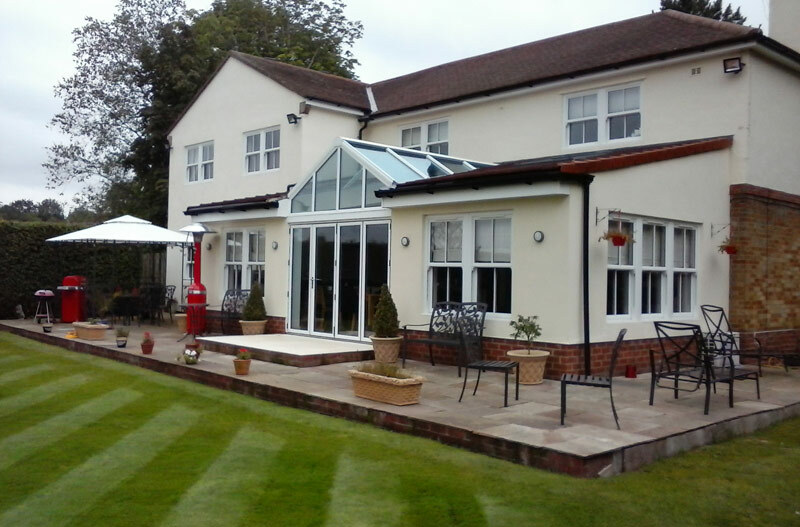 By adding a Bi-Folding Door system you can truly allow your garden and your home to come together as one.